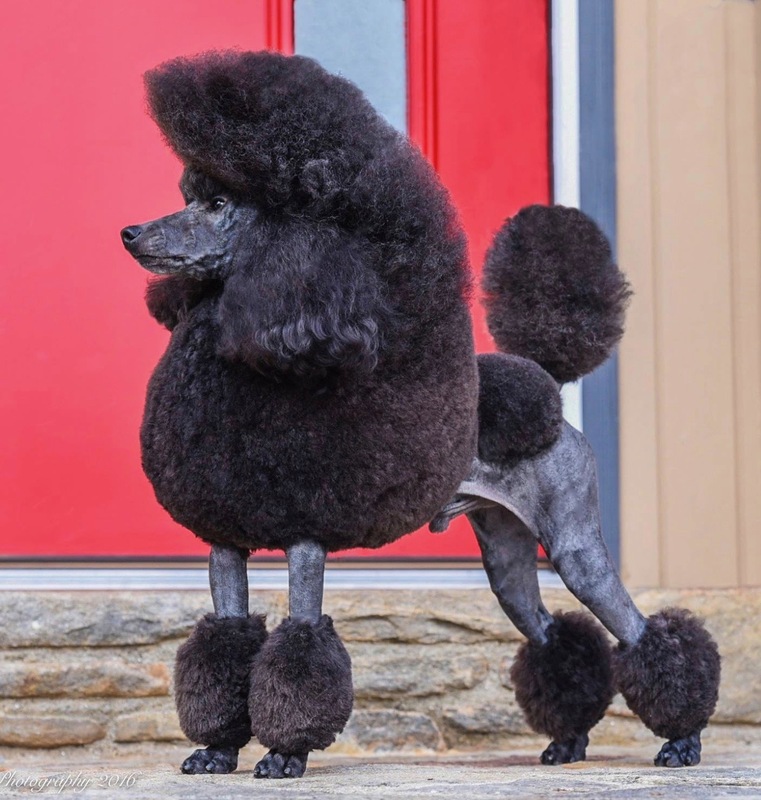 Aery Poodles has been in existence since the early 1990's. Aery has produced nearing 100 champions consisting of Group and BISS winners as well as winners at the National. The following are photos of current and some past favorites from our breeding program. BISS Gr Ch. 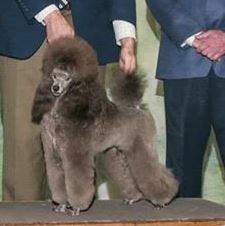 Aery's Athletica, "Lulu" is a group and BISS winner and is sired by PCA BOV winner Gr. Ch. Zelon Driving Mz Daisy Crazy out of PCA Regional WB/BBE Ch. Aery's Grey Gardens. Lulu is retired from showing and is now being used within our breeding program. Her children are just hitting the show ring and making waves! Gr. Ch. 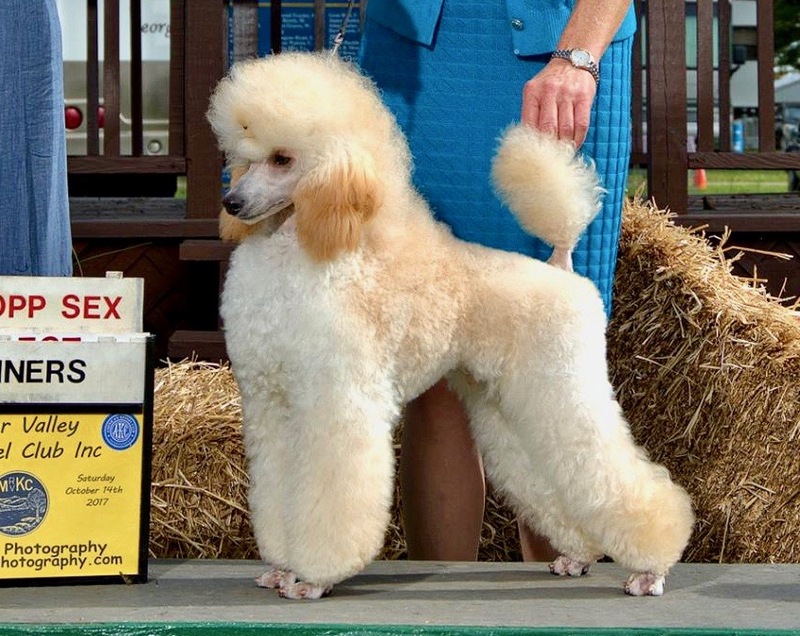 Aery's Bambalam, "Betty" was in the top 10 miniature poodles while she was shown sparingly during her career, both on the West and East Coast. Betty is sired by the late Ch. Aery's Absolute Chaos and out of PCA WB/AOM winner Ch. Aery's Intuition. Betty is a Top Producer, producing beautiful champions for us. Ch. 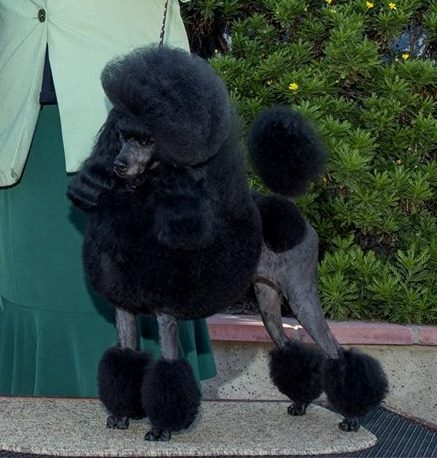 Aery's Grey Gardens, "Edie" was WB/BBE in Show at the 2013 PCA Regional Specialty in Oregon. Edie show career was short and sweet! She was 1st in her class at the National at just 6 months of age and then a few months later going on to win WB and BBE in SHOW at the PCA Regional in Oregon! Edie only had one litter and had to have an emergency spay, but produced the lovely Gr.Ch. Aery's Athletica. Edie is now happy sleeping on our bed and being the boss of the house. Ch. Aery Silde Paint It Black, "Mick" is a current stud standing at Aery. Mick was a quick finish with a group placement to complete his championship. He's producing beautiful puppies and is also a lovely house pet here at Knolveston Farm. Ch. Aery's Intuition, "Vivian" was one of our favorites here at Aery. 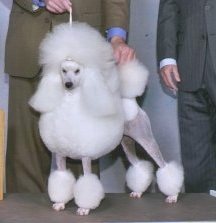 She was our first breeder/owner handled PCA National winner here at Aery which made her even more special. 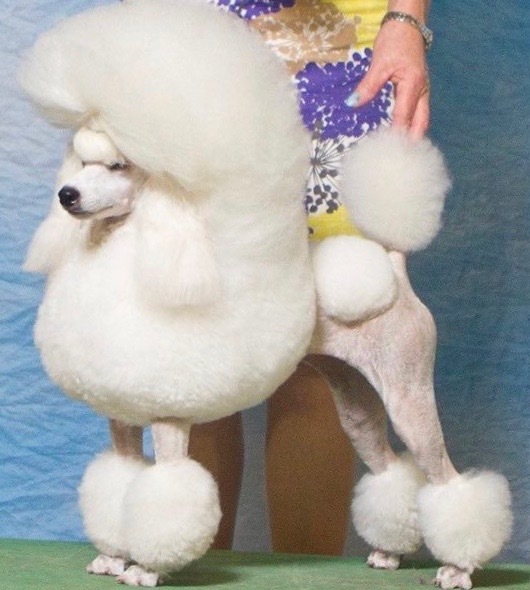 Vivian's kids and grandkids are continue her winning ways as she made quite the stamp on her contribution to what Aery poodles are today. Ch. Aery's Don't Fence Me In, "Bing" is our newest member to the stud force to Aery. He's sired by PCA National BOV Ch. Zelon Driving Mz Daisy Crazy and out of Ch. Aery's Bambalam. He's a stylish boy with a wonderful temperament. We have yet to use Bing, but we plan to do so in the near future. We look forward to seeing what this typey young male produces for us!